That’s what Elizabeth Wettlaufer told three lawyers taking part in the Long-Term Care Homes Public Inquiry. The attorneys spoke with the serial killer nurse prior to the start of the inquiry, which began in June at the Elgin County Courthouse in St. Thomas, Ont., and has continued throughout the summer. 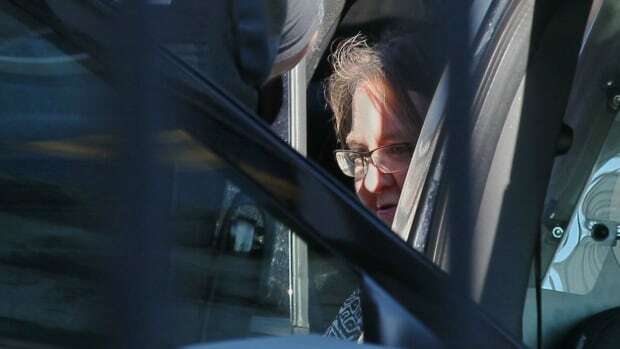 The inquiry was called after Wettlaufer was convicted of eight counts of first-degree murder, four counts of attempted murder and two counts of aggravated assault; offences she committed while working as a registered nurse in long-term care homes in Ontario. She is now serving eight concurrent life sentences at the Grand Valley Institute for Women in Kitchener, Ont. In the lead-up to the inquiry, lawyers went to the prison on Feb. 14, 2018. For two hours, they spoke with Wettlaufer, who chose not to have a lawyer present. One of the questions she was asked was what she thinks could have stopped, or reduced, her killing spree? Wettlaufer killed patients in her care by injecting them with massive amounts of insulin. She chose insulin because it wasn’t tracked the same way narcotics are tracked, she told the lawyers. “It wasn’t counted and I knew that was something that could kill people. The lack of following up on insulin is what made it available to me,” she said. Insulin is administered using pen-like devices into which a nurse puts a cartridge filled with insulin. To deliver a specific dosage, a nurse “dials up” the amount of insulin and then injects a patient. Sometimes, another nurse had to check that the “dialed up” dosage matched the dosage prescribed to a resident. Boxes of cartridges are labelled with patient names, but not the cartridges themselves. Wettlaufer said there was always at least one pen that wasn’t being used that she could use to overdose her victims. She said she sometimes told patients she was giving them vitamins. Pharmacies never questioned why more insulin was being used than was being prescribed — something that would have immediately raised red flags if she had used a controlled substance like an opioid. “There was never a time when it was questioned why we were at times going through more insulin than others. Insulin is not counted the same way narcotics are,” she said. Wettlaufer said a stop-gap on the cartridges preventing nurses from delivering more than the prescribed dose, or pens pre-loaded with only the amount of insulin needed for a particular patient would have prevented her from using it to overdose people in her care. “If there was a way that the insulin was counted I would not have been able to do what I did without getting caught,” she told the lawyers. Nurses from the Caressant Care home in Woodstock, Ont., where Wettlaufer killed seven of her eight victims, testified at the inquiry that they now check when a nurse dials up insulin right before it is administered, but that the practice is time-consuming. Insulin and other drugs are kept in medication rooms in long-term care facilities. At the homes where she worked, Wettlaufer said there was no way to see into the rooms to check if something nefarious was going on. “If the med room was completely made of glass, there’s no way I could have done what I did without somebody seeing me,” Wettlaufer said, though she admitted she could have “dialed up” more insulin elsewhere. At Caressant Care, managers told staff that security cameras were going to be installed after opioids went missing in 2013. But they were never installed, the inquiry heard. Wettlaufer called the med room at Geraldton General Hospital, where she worked as a student nurse before stealing drugs and overdosing, “a nightmare.” At the time, she stole Ativan (Lorazepam), a benzodiazepine which was not a controlled substance. Wettlaufer had a history of mental illness and substance abuse, and was fired from her first nursing job at Geradlton General Hospital in 1996 after stealing Ativan and overdosing. It was not her only suicide attempt. “My head is so much clearer. My emotions are so much clearer. I have so much more remorse for my crime now than I did when I was on Seroquel,” she said. She said that she didn’t like her psychiatrist and he wouldn’t probe during their visits. He would ask how she was doing, and she would answer “fine,” and then walk out with a refill for her medication. Wettlaufer went from working in a group home, where there were three staffers for five residents, to working alone as a nurse in charge of almost 100 residents at night and 32 during the day. She frequently worked double shifts which lasted from 3 p.m. until 7 a.m. the next day. “It was busy. Initially I kept up with it, but it was really busy. I don’t think I managed it well, but I managed it. I certainly didn’t enjoy it,” she said. Wettlaufer said she had thoughts of killing her psychiatrist and people she worked with. She said she coped by putting those thoughts into a different part of her mind, adding that stress at home added to the problems. The inquiry has heard the long-term care sector is always short-staffed and registered nurses are often asked to work long overtime shifts. “Every patient I ever picked had some dementia and that was part of what became my criteria. If they had dementia, they couldn’t report or if they reported, they wouldn’t have been believed,” Wettlaufer told the lawyers. Doctors and administrators also seemed unconcerned about “sudden and unexpected” patient deaths, which are supposed to trigger automatic coroner reviews. “We were told, ‘No, if they’re in a nursing home they need care, and their death isn’t unexpected,'” Wettlaufer said. After she killed her first two victims in 2007, Wettlaufer told her girlfriend about what she’d done. “She didn’t do or say anything about it. She just said, ‘Well, you need to stop doing that. Don’t do it anymore because you don’t want to get caught.’ But I don’t know if she actually believed me,” Wettlaufer told the lawyers. She confessed again in 2011 to a teenager who worked shifts at Caressant Care. In 2014, she confessed to her pastor and his wife, then later that year she told an ex-boyfriend. “He said, ‘Why don’t you change your job so that you don’t have the opportunity. Why don’t you stop being a nurse, come live with me, I’ll leave my wife and look after you,'” Wettlaufer said. She told a lawyer in 2014, after a stint in a treatment facility after stealing hydromorphone from the Meadow Park home in London, Ont., and overdosing, and she told her Narcotics Anonymous sponsor that same year. “She just kind of laughed about it, so I don’t think she believed me,” Wettlaufer said. After checking herself in to the Centre for Addiction and Mental Health in Toronto in 2016, she told someone who she had worked with at Caressant Care. Wettlaufer did turn herself in to police.